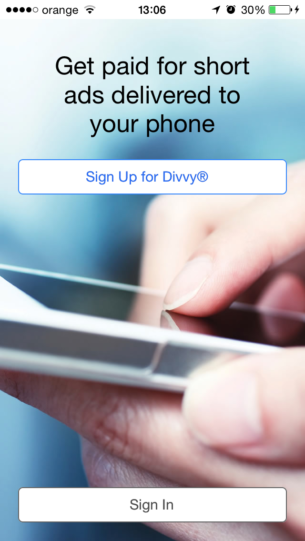 Divvy delivers ads from local businesses to your phone and rewards you for viewing them. 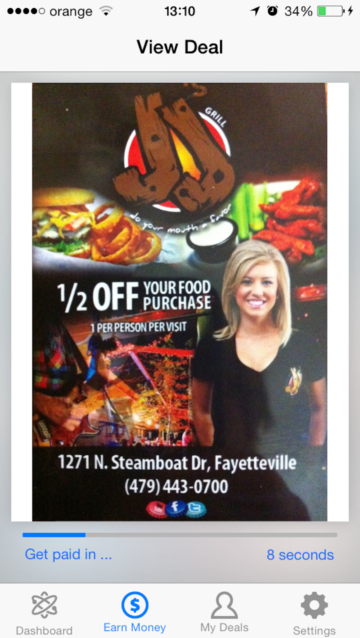 Most ads will include a discount or coupon that can be used directly from the phone. Divvy delivers ads from local businesses to your phone and rewards you for viewing them. Most ads will include a discount or coupon that can be used directly from the phone. 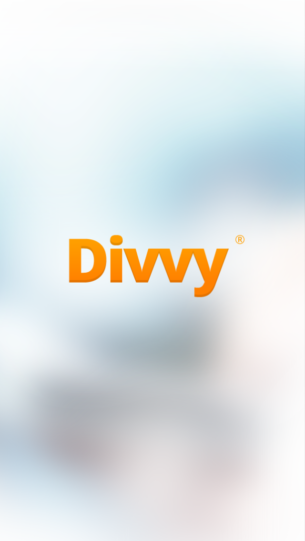 Divvy makes advertising affordable for local businesses and profitable for the users. We developed the application in a strong collaboration with Mind Magnet. Get paid for short ads, deals and coupons delivered to your phone. Sign-UP: The profile determines which ads will you receive, but the data stays anonymous to advertisers. 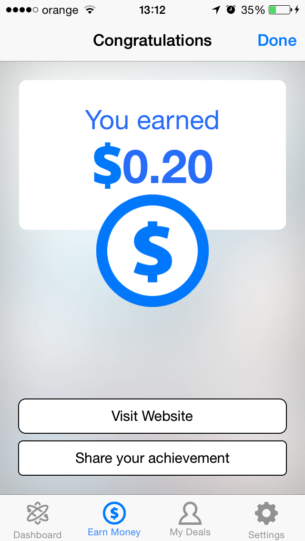 Receive Ads/Deals: The Divvy app is your gateway to making money and saving money. Having it installed on your phone allows us to alert you when a new ad/deal is available so you can get paid! Get Paid: Every time you view an add, type in the 4 digit pin to credit your account. 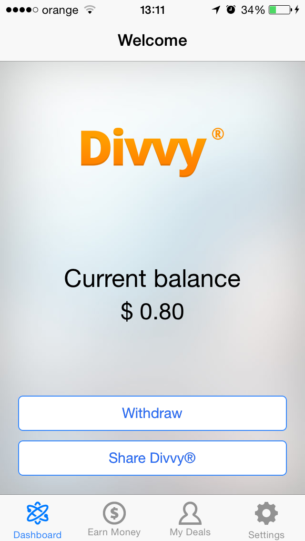 Get $5 if you share Divvy with your friends!